Data has become indispensable to gaining a competitive edge. Still, many data warehouses pose a challenge for organizations trying to manage large datasets: only a fraction of data is available for analysis. We call this the “dark data problem,” where existing data warehouses are too complex, slow or expensive to extract value. 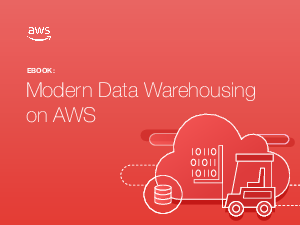 A modern data warehouse can solve these types of problems. Modern solutions support rapid data growth, interactive analytics, relational, non-relational, and streaming data types, all leveraging a single, easy-to-use interface. They offer a common architectural platform for newer technologies while accommodating legacy ones. This can be the key to unlocking deeper business insights for organizations.